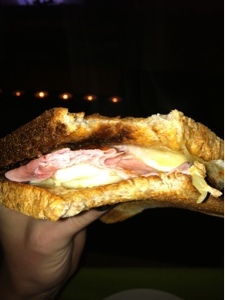 My yummy dinner tonight was a toasted egg White and ham cheese sandwich on brown bread. Can you tell it's pay day on Friday? Hell yeah!! Very excited for new fresh food to be gracing our cupboards again.